Here's some new offers from New-Web that may be of interest to you to help you build your business. 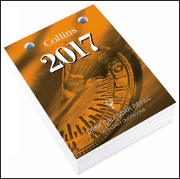 Arrange a MailChimp Email Campaign to Promote 2017 Diaries, Planners and Calendars. 2017 diary planner and calendar promotions are underway and this year some of our clients are looking to use their email list for a MailChimp email campaign. New-Web is offering a MailChimp setup and 2017 diary planner and calendar campaign tailored for your business for $380 (Incl. GST) as a package offer. You'll get your 2017 diary, planner and calendar campaign produced and sent and then have your MailChimp account ready to use for any number of future campaigns. To discuss this offer for your business call New-Web on free call 1800 902 900. 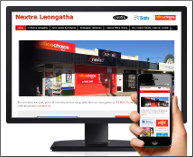 A mobile friendly version is a key feature of our new website range for newsagents to ensure your business website displays at its best on desktop and mobile devices. Choose from the full featured WordPress website or the cost effective Blogger website. For all calls to New-Web including service, support and general enquiries free call 1800 902 900 is the number to call. It's a free call from anywhere in Australia on any landline phone and most mobile phones. Call between 9am and 5pm (Melbourne time) Monday to Friday and you'll normally get through to me directly. Copyright © New-Web 2016. All rights reserved.